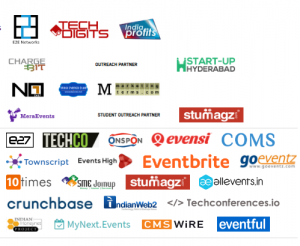 Hosting and Domain Conference 2019 in India is considered to be the World’s Top initiative to discuss on latest happenings in the field of web technologies. It is also one of the bookdomain.org’s Digital Marketing, Social Media, Hosting, and Domain events around the world. This event is a one-day conference that brings a great package of the best industry’s leaders, speakers, experts, and peers in all fields of the Digital marketing, in addition, a set of effective and valuable sessions, workshops, case studies, researches, talks, and presentations. Hosting and Domain Conference 2019 is also considered to be a great chance for growing companies to showcase their technologies through customized stalls at the conference venue. It will take place on February 02, 2019 at Hyderabad, India Radisson Hyderabad Hitec City. Why Should Attend the Hosting and Domain Conference 2019?! Hosting & Domain Conference is the world’s top initiative to discuss on domains, hosting and blogging. Its an global conference attracting delegates from all over the globe. Panel discussions & Sharing views and tips by industry experts. Open for Connections & Business networking opportunities. Connect with like minded people and can get in touch with various service providers. Meet technology enthusiasts, domainers, bloggers, hosting companies, registrars and a wide range of services/products. Who Should Attend the Hosting and Domain Conference 2019? !